Informal vs. Formal Learning: Creating a Blend! can be added to the formal learning and if so, how both can be combined together. 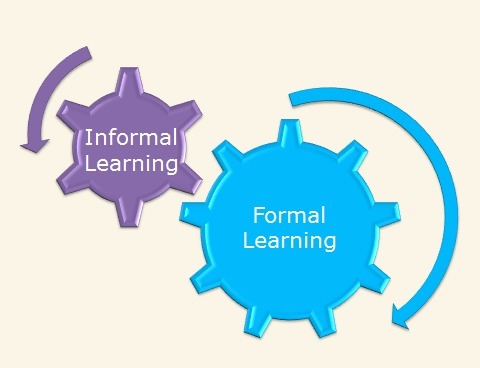 Informal learning is the unofficial, unscheduled, and unplanned way to learn and gain knowledge, whereas formal learning is delivered in a systematic, intentional way with a reporting and evaluation process. 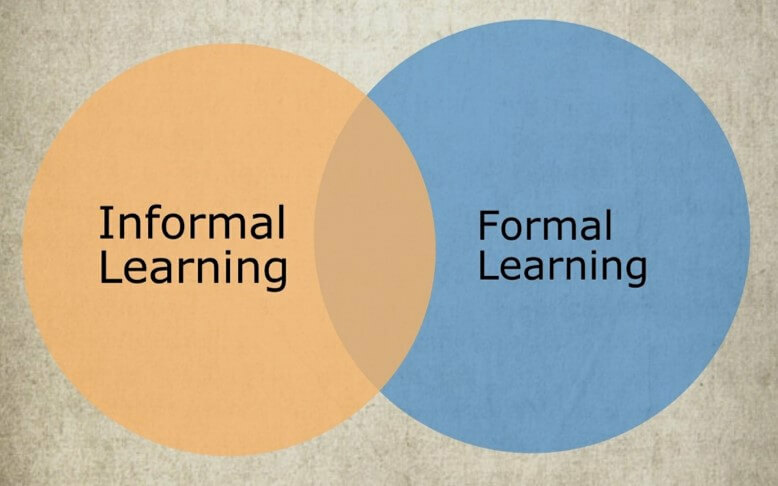 While formal learning will continue to be fundamental to professional development, organizations can embrace informal learning practices to enhance their learning and training programs. Provide a knowledge management tool/platform for employees to share their learning after they attend a formal training/learning program. Encourage employees to write down tips, answers to frequently asked questions after a training course, which can be shared with fellow learners. Arrange for informal workshops or meetings where subject matter experts (SMEs) can share their expertise with co-workers. Establish a Mentor or buddy program for employees to learn and discuss development ideas, goals with a high performer coach. Encourage employees to learn together about topics that interest them, such as latest technology or methods in their discipline. Organize regular sessions where they can share their knowledge with a wider audience. Create a platform for cross functional teams to come and share ideas, create solutions. Most organizations have a “Friday Fun” concept. Why not introduce something like Share & learn Wednesday or meet & learn Wednesday to nurture a learning culture across the organization. Encourage employees to recommend content to other learners through organizations’ intranet portal or other social streams. Employees are more relaxed and eager in an informal learning setting and they readily commit to learning a new skill without worrying about exams or evaluations. However, the accuracy of learning material as well as the learners’ understanding cannot be assessed in an informal learning setting. Also, organizations can deliver single information or knowledge resource to a large number of employees at the same time through formal learning methods, tools; informal learning for large groups is not constructive. Formal learning can also be monitored and reported and brings credibility to the organization. Hence, it is not impossible to replace formal learning with informal learning, however, it can surely add more value and engagement to formal learning practices. Organizations need to thoroughly understand their learning objectives, challenges, target audience in order to create a balanced learning environment for their employees.